WE ARE BUILDING SOMETHING REAL HERE. ARE YOU WITH US? STRETCH GOAL #4: $15,000 AUD --- DONATE NOW!!! There are 363,000,000+ children under 14 years old in India! That means there are still 181,500,000+ malnourished children going without essential nutrition. I'm Kieron Safstrom, an Australian Nutritionist. For the last 3 months I have been growing my non-profit in India. Through working with local social enterprises and charities we have been developing projects to increase young Indian student's health and well-being. It has been a pretty bloody amazing experience so far! I am continually overwhelmed by how many kids are so obviously malnourished and how far behind they are compared with children their own age in other developing countries. These kids will not get the opportunity to reach their physical and cognitive potential unless something changes. Soon. (This data comes from a 2013 Pan-India report compiled by Child Rights and You, one of India's leading NGOs. The data was derived from Government Census documents and peer-reviewed published academia). My numbers paint a bleak picture. The children at this slum-school generally track along the lower 25th Percentile in terms of average Indian Growth Rates for their age brackets. With sufficient funding, we will purchase 1 METRIC TONNE of Full Cream Milk Powder. This is a good start, however several micronutrient deficiencies are prevalent in these children, which plain milk cannot fix by itself. With a little extra funding, we will fortify the Milk Powder with Iodine, Iron and Vitamin A, which are all absolutely CRITICAL for normal physical and cognitive development. One tonne will provide 22,200 total meals. The remaining $850 includes the 'Perk' clothing item costs and international shipping. Additionally, this can allow myself to personally travel to the Delhi/ Kalyanpuri Slum Project to deliver educational workshops for the recipient teaching staff and community elders/ leaders regarding nutrition and hygiene, as well as how and when to serve the children their new meals. Getting the Milk to them is only half the solution, the remainder lies within ensuring sustained adherence to the breakfast program. Consistency is key when dealing with nutrient deficiencies. "So guys, today we are going to learn about Iron and Anaemia"
"Dilshad, do you know the difference between haem iron and non-haem iron?" Once our initial goal is attained, our mission is NOT over! It's NEVER over. There are 363,000,000+ children under 14 years old in India! Think about the stats I mentioned before... That's A LOT of malnourished children. You get to help change the world. So, Join us! Grab a Hoodie or a Tee, and help us make this exciting project a reality. Together, we can change the lives of thousands of children. Get in touch and stay in the loop! And by the way... This is what a University Trained & Qualified Nutritionist can do. No tea-cleanse fads or click-bait here. Get Educated! If you noticed that the milk aid projections were different in the video than what is typed above (e.g. 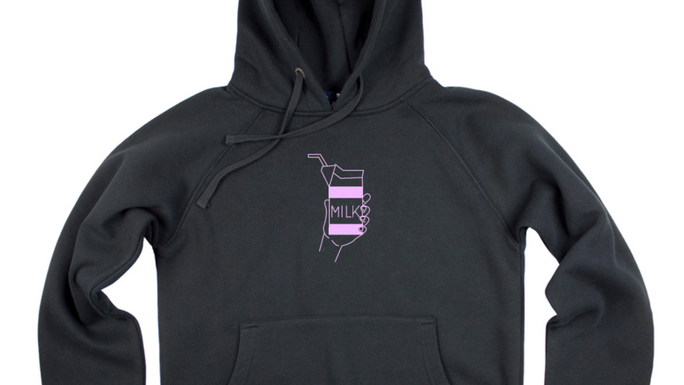 1 hoodie feeds 1 child for 1 year) then you are very observant. The video was created a few days prior and I have since updated my costing calculations in order to provide MORE Fortified Full Cream Milk Powder to each child! The easiest way to purchase multiple sizes is to do separate orders. You are not charged any extra fees for doing this. If you're interested in our project but can't help right now, let's keep in touch! Where I slept when I was working at the slum-school! Invited to my first Indian wedding last week! Blessed. You're going to buy a new hoodie this winter. Make it this one and you will feed one hungry Indian student breakfast every day for one whole year, whilst staying cozy! 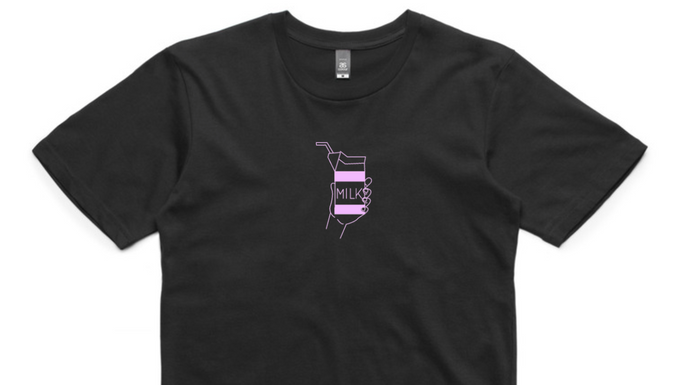 $99 COMBO DEAL: GOT MILK T-SHIRT & HOODIE! 10% OFF! * $1,490 in offline donations included in total.